For most bird enthusiasts the Southern Cassowary is something that you read about in the National Geographic or catch a glimpse of in a few good zoos. It is not a bird that we expect to tick-off the birdwatchers bucket list. An adult male cassowary is a magnificent creature, standing over 5ft tall and weighing in at over 100 pound. 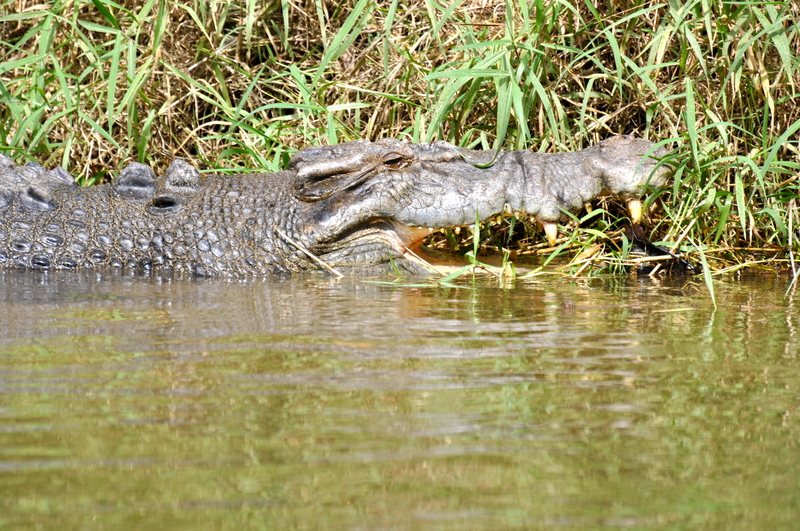 The female is even bigger, reaching up to 160 pounds. This huge flightless bird is second only the ostrich in size but is considerably more secretive. 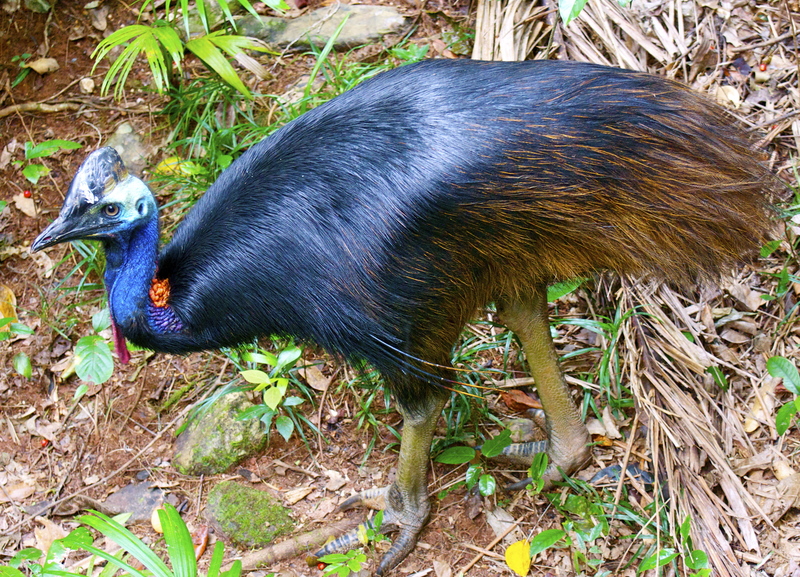 The Southern Cassowary lives a solitary life in the dense rain-forests that cover the north eastern tip of Australia. With such a small, remote and inaccessible range combined with the often impenetrable jungle where it spends its days makes any attempt at viewing this bird a significant challenge, not to mention a considerable expense. I found myself entering in to discussions regarding a possible move from Australia to the company’s Americas branch. Once these discussions gather momentum, things can happen fast so I decided to hit a couple of the Australian destinations that I wanted to see before leaving. One of these places was the Daintree rainforest and Cape Tribulation. When booking the trip, I was aware of a faint possibility of seeing a cassowary, so I booked accommodation in and around the places that would present the best opportunity to see the bird, even though I held out little hope. We landed in Cairns, hired a car and started driving north. This part of the world is paradise, cursed with man-eating crocodiles and deadly poisonous jellyfish, snakes and spiders. We stopped in villages with pristine beaches and warm water, but it is hard to relax on a beach with crocodile warning signs. Eventually we reached the village of Daintree, where we stayed at a perfect guesthouse for birders; Red Mill House. Owners Andrew and Trish are a mine of birding information and their garden is a good place to start viewing. Little Kingfisher – rare and beautiful, the electric blue flash from perch to perch was too fast for my camera work. Victoria’s Riflebird – a member of the bird of paradise family that I was determined to see on this trip. We enjoyed 2 spectacular days in Daintree but still no cassowary other than the fiberglass ones standing outside every gift shop and information center. Next stop was Cape Tribulation. A breakfast conversation with Trish and Andrew revealed that this would give us our best chance of seeing the bird, although they cautioned that it was very unlikely. They wrote a list of places where cassowary had been seen recently and we set off for the tropical far north, crossing the Daintree River by car, on the cable ferry. Departing the ferry, we continued the drive north, slowing or stopping as we passed each fruit farm or landmark where recent sightings had been recorded. I didn’t expect to see a cassowary and in truth, I didn’t mind. The area was beautiful and any sighting, be it a cassowary or any other wild creature was a bonus. I pulled the car up at the Daintree Discover Centre. There is a canopy walk, many fruiting plants and a chance to pick up some maps and information. We bought coffee and did some reading about the area. After a short walk I resolved to return the next day as it looked like an excellent place to spot rainforest wildlife. Before we hit the road again it was time for a bathroom break. The gent’s lavatory has never played a part in my wildlife spotting experiences, but today would be different. I looked up through a tiny little window that was open to allow a air circulation; much needed in the warm humid climate. 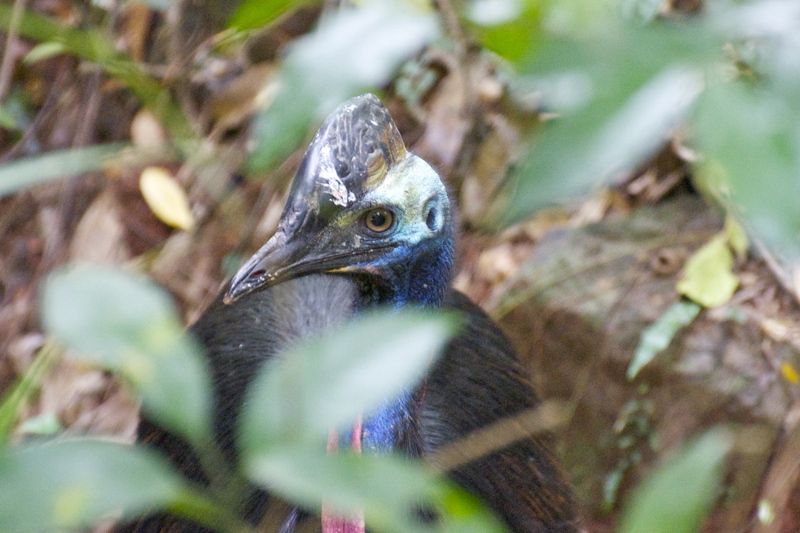 There, making its way through the bushes behind the building block, was a young male cassowary. I had to double take! My heart started racing and I tensed even muscle to finish the business that one usually engages in at the urinal. I burst out the door, grabbed my camera and fumbled with lenses whilst running out the door of the center to position myself in the route that I had seen the bird heading towards. After a short wait, he appeared. A glorious sight! The first thing that strikes you is the size of his feet and the obvious power in the legs; next, the brilliant, metallic blues and reds on the neck. This is a bird with a distinctly prehistoric look that would not be out of place in a scene from Jurassic Park. He scratched around in the leaf litter under the shaded canopy of the rain-forest for about 20 minutes. I fired a few shots with ISO up as high as I could to try to capture a usable image, in the dull light. Then I lowered the camera and enjoyed this special moment. I was proud to carry my 18 month old son out to show him his first Southern Cassowary. As I drove away from the Discovery Centre to continue our journey north, I looked down a side road and saw another prodigious adult cassowary, stood in the center of the road. 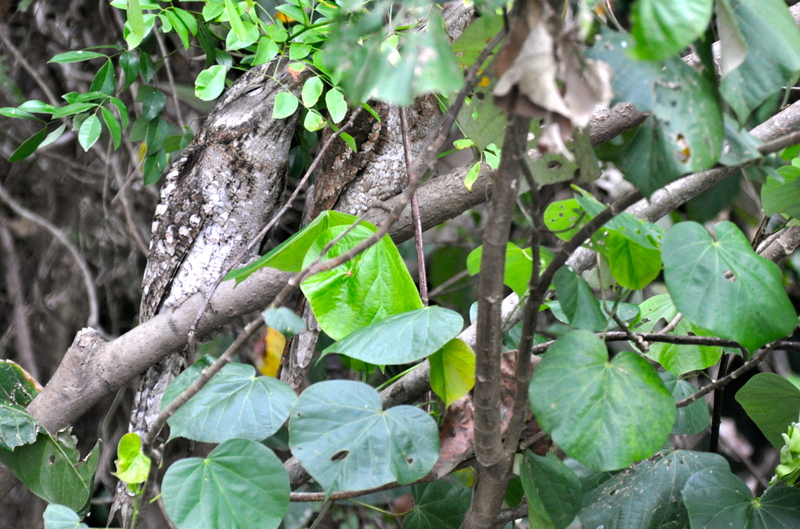 It swiftly moved off into the dense foliage. Unbelievably I saw another young male a couple of days later in the same area. I went to this part of Australia hoping to catch a glimpse of this extraordinary bird and came away having seen 3 cassowaries, and had the opportunity to spend time with and photograph them. Cape Tribulation is a remarkable place, where the rainforest meets the Great Barrier Reef creating a unique eco-system. 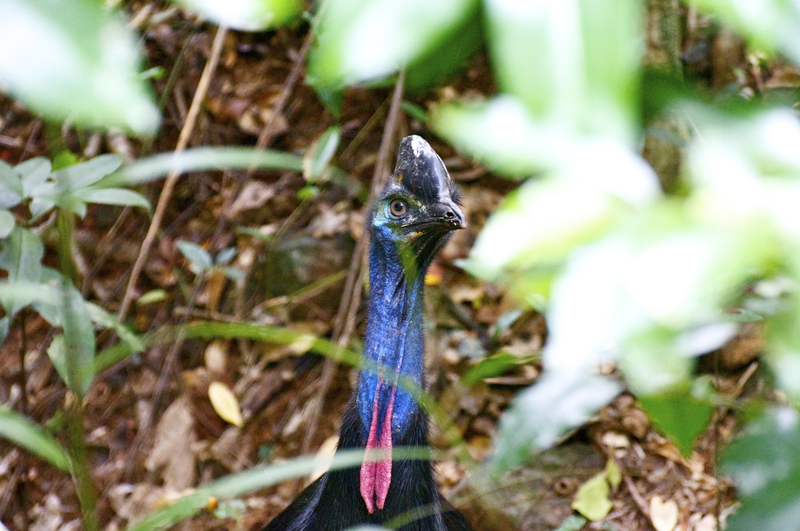 The Southern Cassowary is perhaps the most recognisable symbol of this spectacular wildlife zone. If you have a passion for wildlife watching and find yourself with the means and opportunity, a visit to this tropical paradise is a must! Wildlife encounter at the least expected moment. I thoroughly enjoyed reading this, David. Amazing! I’ve been Australia three years ago, but I’ve not seen this famous bird… it is on my list of birds I hope to see in my life. Congrats David. I believed that this bird would be near impossible to see without going on some kind of jungle expedition, but it is very possible. If you plan to go again, I’d suggest contacting the Daintree Discovery centre as they can help with the best time of year to see the bird.